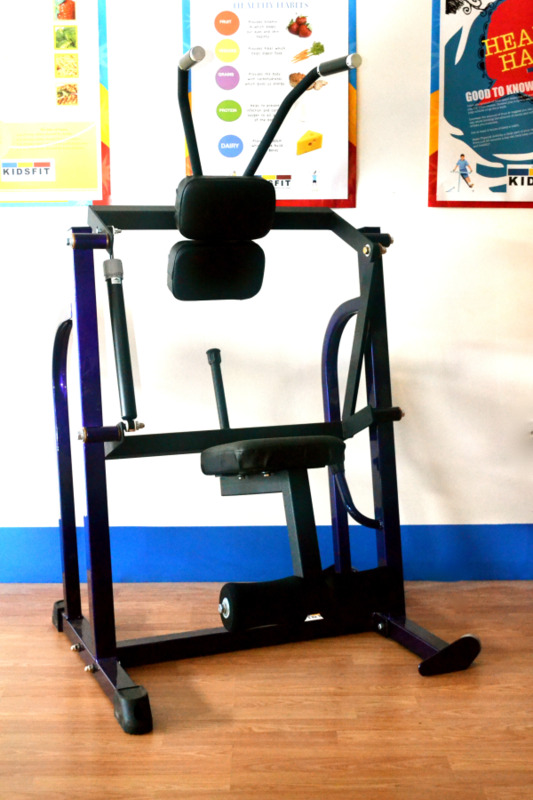 The Ab Crunch machine is specifically sized for youth and is designed with the developing child in mind. The ab crunch focuses on strengthening children's core muscles. Why is core strength important for children? Poor core strength not only causes bad posture but is also a contributing factor in poor endurance and poor balance. Without core strength, the childs gross and fine motor skills are impaired. Strengthening the child's core is considered a vital building block in the developing body! Dimensions: L 38" x W 40" x H 66"